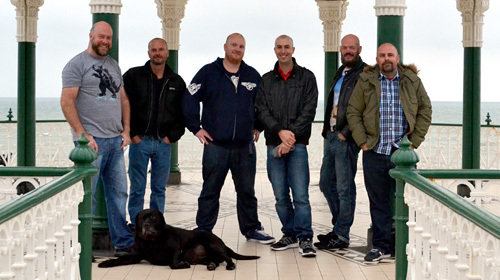 We are pleased to announce the dates for next year’s Brighton Bear Weekend: Thursday 16th to Sunday 19th June 2016. 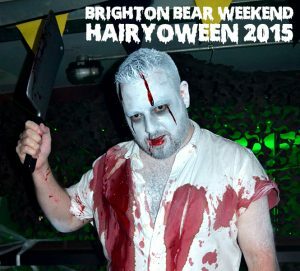 There will also be our traditional big Brighton Bear Weekend Quiz on the Thursday evening for the early birds before the weekend kicks off properly on Friday. 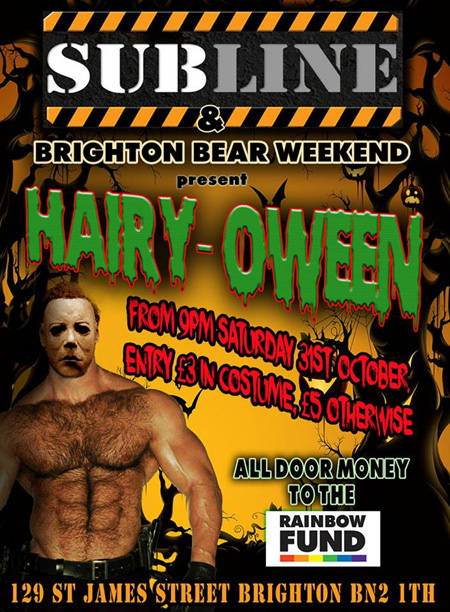 Our Hairyoween night on 31 October at Subline raised an amazing £583.77 for the Rainbow Fund! 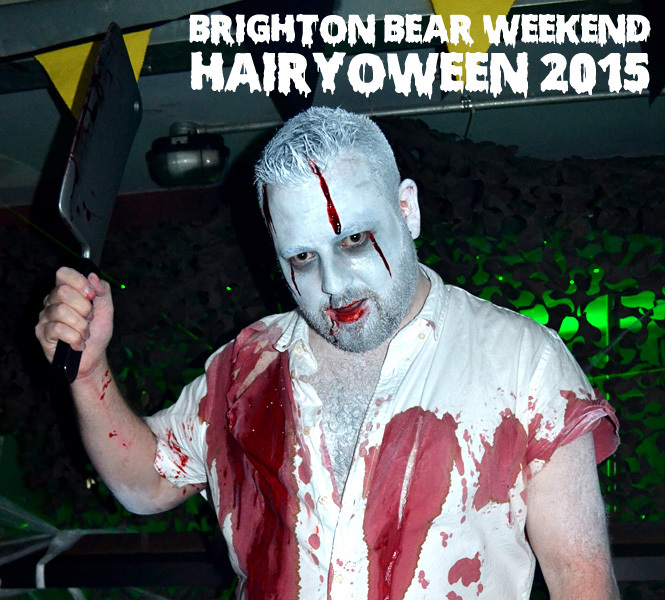 Check out the photo gallery and the amazing costumes that everyone wore.